This week, we meet Nichola and her family. Nichola lives in England and is raising her children speaking non-native French to them. Thank you very much to Nichola for answering my questions and being so honest with her answers! Mum and Dad speak English with one another. Dad speaks English with the children, Mum speaks French with the children. English 99% of the time, French occasionally when spending time with French speaking friends (something we are actively trying to do more of). My daughter hears on average about 60-70 % English over the course of a week due to spending 3 full days in English daycare, two full days with French speaking Maman and then the weekends with both languages equally. My son probably hears about 50/50 French/ English as he spends all his time at home with me (I am on maternity leave right now) but I admit that when his sister is not home I do tend to speak English with him at the moment. Yes, OPOL. As I am the only real French speaking influence in our children’s lives we felt it hugely important that I only speak French with them. Although their father is learning French, he doesn’t have sufficient knowledge as yet to be able to hold full blown conversations. We feel quite strongly that since our children’s exposure to French is so limited it is extremely important that only people who speak it fluently should speak with the children for fear of diluting the quality of the language input. This in itself can be a little difficult at times particularly as well meaning friends and family often want to use the words they know in and amongst English phrases (not good from an OPOL perspective, of course, as the languages should be kept separate to help the children learn…as you know). On the one hand, I feel really grateful that people try....it is, afterall, validation of the fact that they are behind what we are doing and its heart warming that they want to join in and support us.... on the otherhand, they sometimes mispronounce words which I worry about (as I feel that if I am the only one pronouncing it correctly and several people pronounce it differently.... and wrongly, perhaps my children will repeat the mispronunciation as they will think it must be correct due to the number of people saying it that way :D). I feel awkward raising it as an issue as I sense that sometimes people feel that I am being too uptight (rather than them seeing that I am just really invested in making this work). I have found that since having our second child it is easier to have our elder daughter hear more French when she is not directly engaged in conversation with me as I can deliberately talk to her baby brother or read to him within her earshot. We have tons of French resources – far more than their English language equivalent (books, speaking toys, DVDs, radio etc). At first, speaking French with my elder daughter from her being 3 months old was a real leap of faith. I did worry that it wouldn’t work and that I was wasting the time that I could have been using to bond in my own language. Now that our daughter is old enough to interact, follow instructions and speak, we can see that it does work and for now, at least, she is truly bilingual. Not really sure about this one. I think that this will become clearer as the children get a little older. One thing that I am still trying to find my feet with is what to do when I am speaking to the children in the company of a non-french speaking person. I don’t want to make that person feel awkward but nor do I want to have to speak English to my children as ultimately this would lower the French input to an even greater degree…. some people seem to be more bothered about not understanding than others. For now, I tend to translate when I feel that the other person needs to know what I am saying. If I had known at the beginning what I know now (i.e. had I had the courage to believe that my daughter would simply pick up French in the same way she does English and be able to understand and speak both), then hopefully I would have spent less time feeling anxious about our choice to proceed with non-native bilingualism. I certainly felt, at certain times, (and to some degree I still do) that people don’t realise what a commitment it is. They either think it’s a good thing, a bad thing or a bit of a weird thing but they don’t understand the personal commitment and sacrifice that goes hand in hand with not speaking your first language with your children. 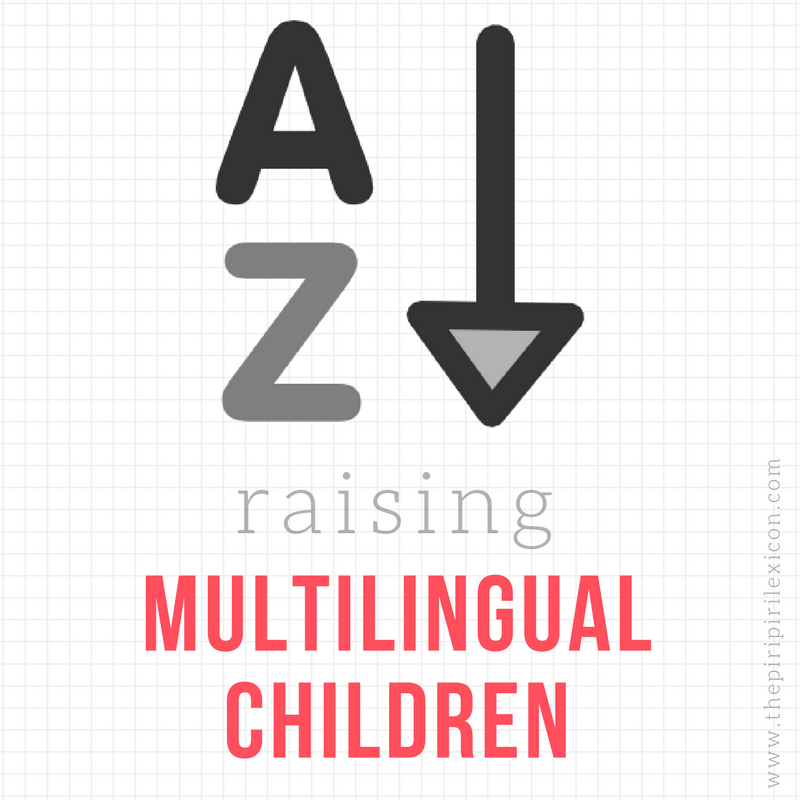 I truly believe that the overarching reason that we have got this far is due to the support and friendships I have made with other bilingual families (both native and non-native) through my blog. Setting up my blog was the best thing I could have done. It has enabled me to connect with others in the same or similar situations and take their advice and use them as inspiration.